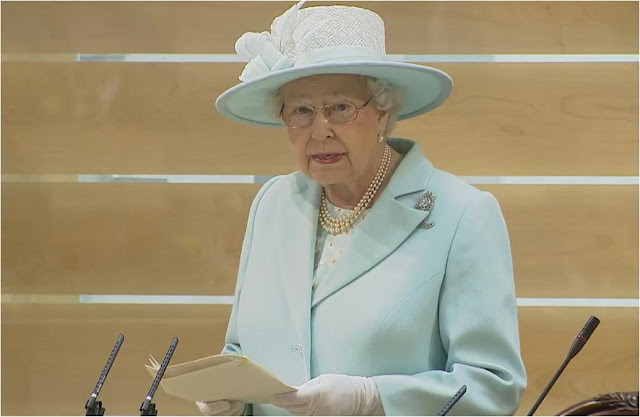 The Queen, accompanied by The Duke of Edinburgh, officially opened the Fifth Session of the Scottish Parliament, and delivered an address to the Parliament. How to step around a sticky political situation without getting sticky, the queenly way: "We all live and work in an increasingly complex and demanding world, where events and developments can, and do, take place at remarkable speed; and retaining the ability to stay calm and collected can at times be hard. As this Parliament has successfully demonstrated over the years, one hallmark of leadership in such a fast-moving world is allowing sufficient room for quiet thinking and contemplation, which can enable deeper, cooler consideration of how challenges and opportunities can be best addressed." Add to that an outfit in a truly tranquil shade and a brooch from the original Keep Calm and Carry On era, and you've got a mission accomplished. 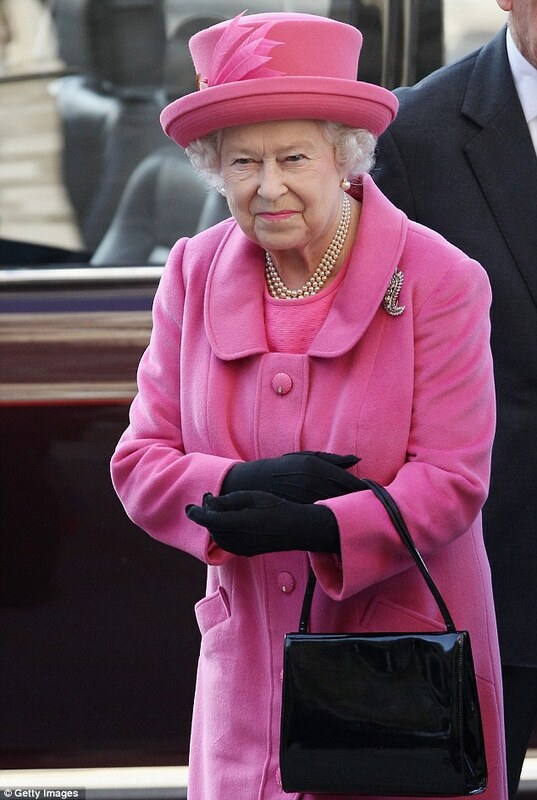 It's odd that her lapel so clearly covers the brooch, but it isn't the first time that's happened to this jewel.